Is it still Wednesday? If I work quickly it will be!! In New Zealand it's currently the school holidays. 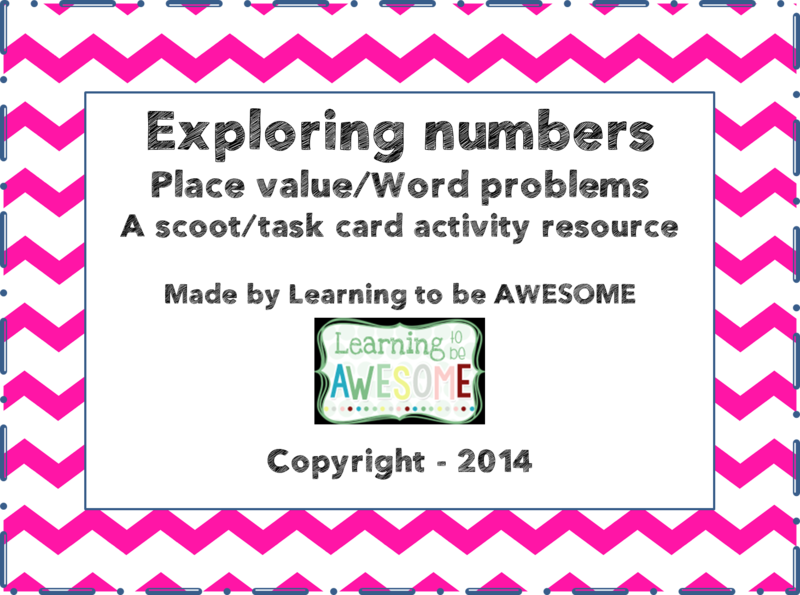 I've started getting ready for the new term, making resources, planning etc. Instagram wouldn't let me link in here - The caption said something like... "coffee, computer, sweet treats, resources, drPhil on tv... Let's get ready for a new term!" 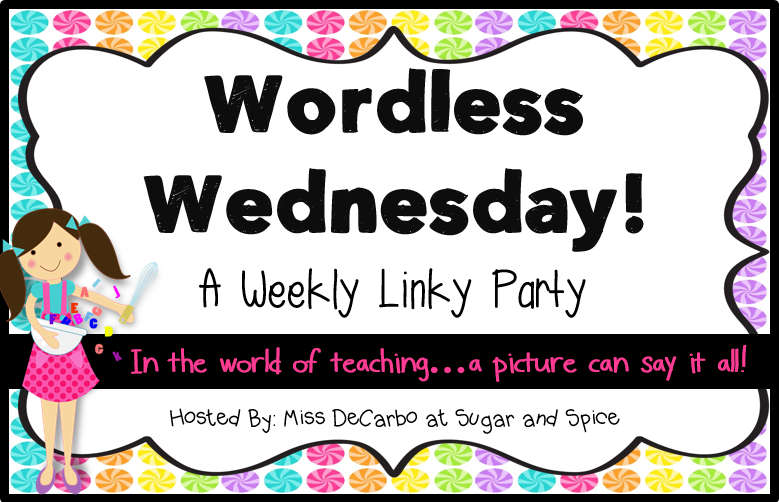 This post is linked to Sugar and Spice - Head over there to check out the other Wordless Wednesday posts!. I'm halfway through my holiday now, and am finally feeling up to planning, creating, and getting ready for the new term!! 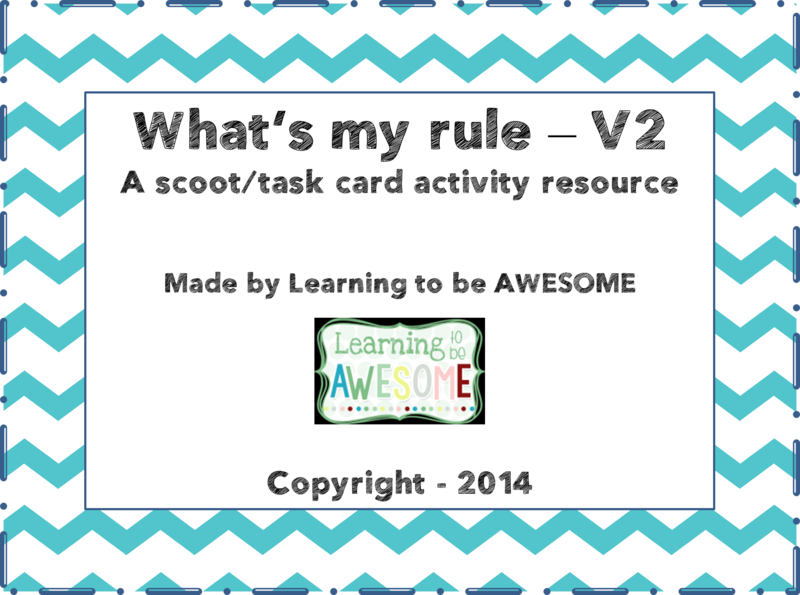 I have spent the evening creating some Scoot/Task card activities for my kids in the new term. Check them out, and then pin it to win it!! 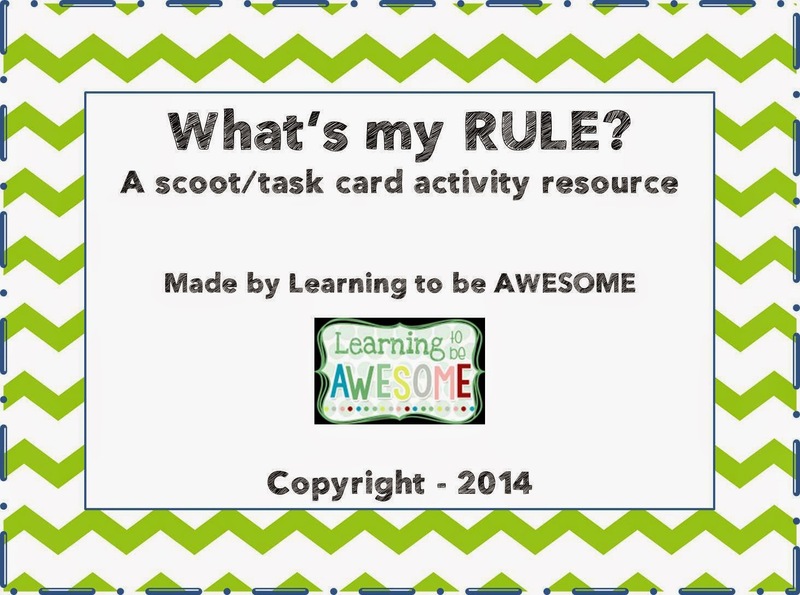 Pin your favourite of the (so far three) scoot/task card games, and I will pick a winner for every 5 pins on Tuesday! Just click on the pictures to go straight to the product on TPT. I'm on a roll, so might see about making one more before bed... While watching the semi final of NZ masterchef! Post your link to your pins below so I know how many people pinned, and therefore how many winners to award!! Hey any way, so I wanted to create a linky where you shared photo highlights of the week that was! 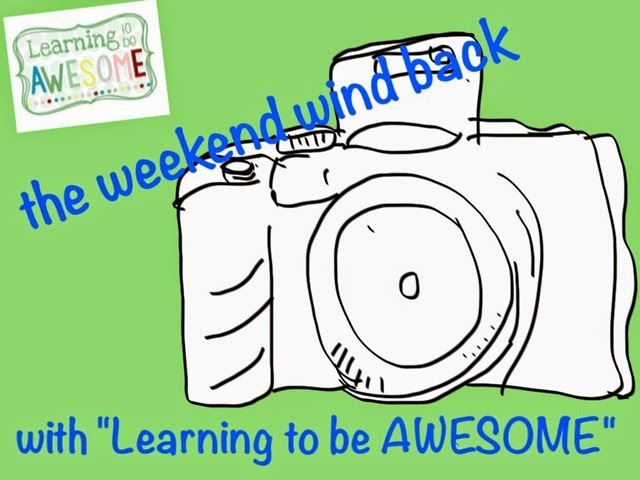 I've called it the Weekend wind back, and I really hope that you will come and link up. Share your photos and meet some new bloggers along the way. Okay, so here are my photos from the week! I'm in the middle of my holidays now, so these aren't school related. I've spent the past week at my parent's house, chasing the farm animals around the place! One of my darlings sent me an email earlier in the week, she is all kinds of awesome!! Right, your turn! Go get your camera, dump it all in a post, and link it up here for everyone to see! Welcome to another instalment of Wordless Wednesday. I have a piano in my classroom because it was sitting there not being used, and I take choir this year. My question is - Do you take any extra curricular clubs, and do you get paid for it? Remember me? Yeah I'm that crazy lady who teaches a bunch of awesome kids in New Zealand. Yeah, I've kinda been out of action the last couple of weeks, busy as anything. I've stopped by here every now and again, but there really hasn't been anything substantial posted here for a while! So consider this a camera dump while I get ready for the new term - and some actual ideas/helpful hints posts!! 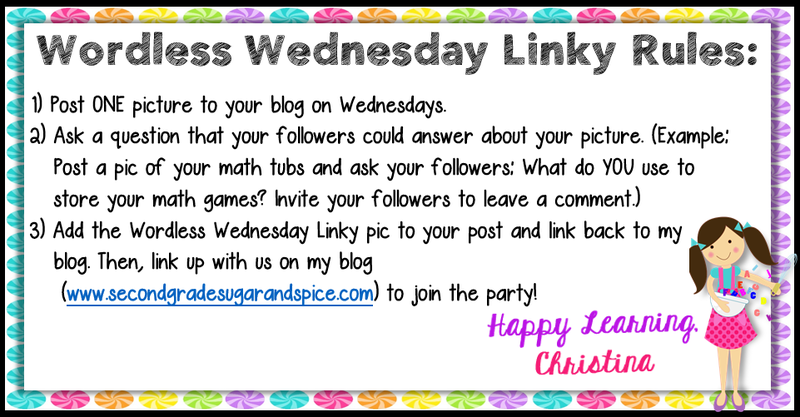 As part of this, I'm going to start a new weekly linky party!! It's called "The weekend windback". Basically, you purge your camera (or phone) as I'm about to do now and share your weekly highlights in photo form!! Write words if ya want, but I want to just see what is going on in your world!! I'm going to work on the fun graphics for it tomorrow. Please excuse the possum eyes! I went to a wedding of a very dear friend. Doesn't she look lovely! This made me laugh for about 5 minutes. And then again when I saw it just now! Go and check out her blog, I was totally spoilt, and LOVE everything that Marcy gave me. She really is all kinds of AWESOME. Also check out Lessons with Coffee and sign up for the next SLANT box when it comes up! I played the "How far can I go before I get lost/run out of petrol in the middle of a bad neighbourhood" game. I won. And now for something school related!! Ok that's enough egg photos!! So without any more talk, after all this is a Wordless Wednesday post, here is my picture. Ok so it's a lame picture, but my phone just died, and it's 11pm. My question is this - Is Easter a holiday where you are? Here in New Zealand, our school holidays start tomorrow afternoon and go for two weeks. For everyone else in New Zealand, Friday is a public holiday, as is Monday. What do you get off over Easter? Some of you may know that I didn't teach maths last year... Planning wise, I totally recommend team teaching!! Career wise - If you're ever planning on teaching maths again, I recommend keeping in touch with the other teacher a lot more than I did!! I have struggled this year! After one year of not teaching maths I have forgotten how to plan and teach it! Argh it's hard work! I've had two formal observations so far this year (9 weeks long). We don't normally have that many in the first term, but my team leader was away during the first round, so we had to do catch ups. My first ob was in writing - and I've got some good next steps out of it. My second was in maths (my bad subject!!!) and it was videoed... I just watched it... It wasn't too bad! I look terrible, but who doesn't when they are being recorded? Sooooo.... I've decided to be brave and put up a shortened (read slightly edited) version of the video. The entire group lesson went for 25 minutes - which I really need to get down to about 17 max!! I would love some feedback if anyone has time to watch it! I find it quite remarkable that inspite of my terrible teaching, these kids still got the concept and went from needing materials to using number properties in the space of one lesson!! Ekkk... Here I go! Being brave! So a couple of weeks ago I had a week where every interruption possible hit my programme. So after the 3rd one I gave up trying to fit everything in to the day and tried something different. I grouped the kids into groups of 4-5. Gave each group a book about how to deal with bullying, and an ipad. Then I told them that they had one hour that day, and one hour the next to produce a movie of said books. We are currently giving our second movie making session a go - with actual teacher input, including script writing, storyboarding, and costumes - albeit, the costumes being a blanket or ribbon draped over a child's head! Here are the finished products! Enjoy. This first one is about a girl who gets teased and then doesn't want to come to school anymore. The third video is about coming to a new school. Finally - what would you do if a younger child was picking on you. Enjoy the hilarity! We sure did!! Well that's because it's not. It's currently - silly!! 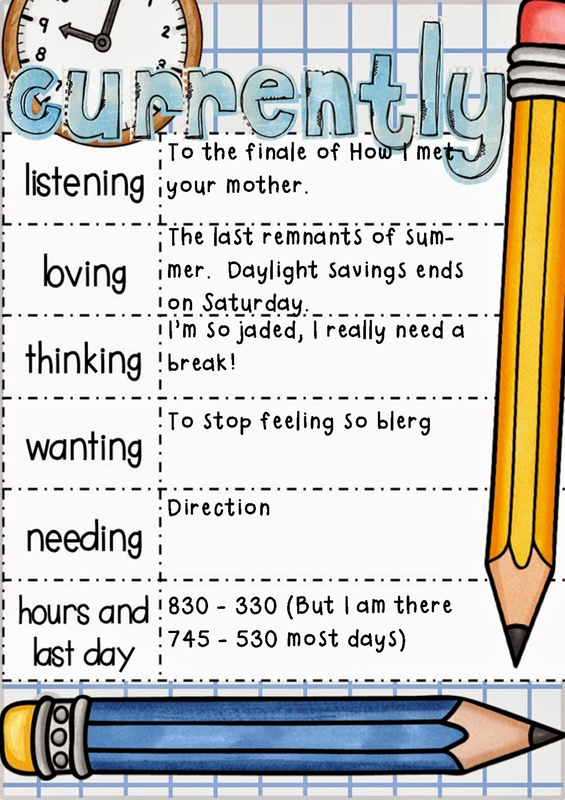 Loving - Well, actually I'm more loving that I get an extra hour of sleep this weekend!! SOOOO excited!! Thinking/Wanting - I'm tired, and grumpy, and SOOO over some of the bureaucracy that we all have to put up with as teachers, and I'm starting to think that I'm not cut out for it. I've been teaching for 8 years now, and I LOVE it. I don't love laziness, or apathy - especially from people who are supposed to be inspiring young minds!! I know I'm a damn good teacher, but at the moment, I just can't find my motivation... This wouldn't be so bad if I were heading into Summer like most of you, but this school year is only 9 weeks old... Far too early to be feeling like this. Needing - Along with the above, I'm trying to figure out what my next steps would be. Do I go travelling? Do I finish my masters? Do I chuck it all in and find something else to do? Any suggestions?? Hours/Last day - We have to be on site from 830-330, but I hate taking work home, so I'm usually there from about 745ish - 5 most days. Some days I leave by 430, but it's more likely 5. We don't finish for the year until December 17th. ALTHOUGH, we have two weeks off over Easter, starting with Good Friday. YAY - 2.5 weeks to go! 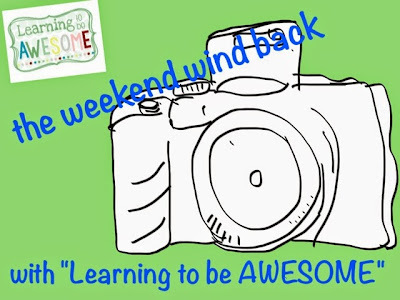 Welcome to the weekend wind back! Camera dump - come have a laugh!